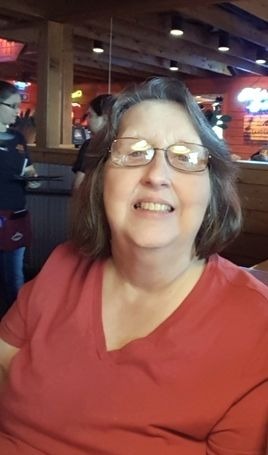 Nita White Kinslow, 68, of Scottsville, KY passed away Monday, April 8, 2019 at Med Center Health in Bowling Green. The Bowling Green, KY native was a homemaker, former employee of Kentucky Apparel and Sumitomo and attended Freedom Hill Church. She was a daughter of the late Daniel Woodford White and Martha Thomas Petty White and wife of the late David Kinslow. 2 grandsons: Trenton Evan Brown and Tucker David Bullington. She was preceded in death by 1 brother: Garland White and 1 sister: Janice Hill. Graveside service will be 11:00 a.m. Thursday at Crescent Hill Cemetery with Bro. Russell Mills officiating. Visitation will be 4:00 p.m. to 8:00 p.m. Wednesday and after 7:00 a.m. Thursday until service time at Goad Funeral Home.